Some argue that robots in restaurants replace humans and thus increase unemployment levels while others take a different stance – only 5 percent of jobs can be fully substituted by robots and technology. So is there need to worry? Jobs that involve predictable and repetitive tasks are fairly easy to replace, which accounts for slightly over 50 percent of all on-the-job tasks. At the same time, reports show that robots are expected to replace 6 percent of jobs in advanced economies such as the U.S. Some experts hold the view that this doesn’t hold for the hospitality sector and restaurants in general. Small talk is still important for customers. Others warn that the introduction of robots can cause unemployment. A study titled The Future of Employment by academics Michael Osborne and Carl Benedikt Frey shows that cooks are on the list of high-risk jobs together with accountants’ clerks, watch repairers, insurance underwriters, and telemarketers. Many, however, believe that the rise of unemployment due to robot use is still a theory. The introduction of Ziosk tablets by Chili’s is one example of robot use in restaurant chains. They are based on artificial intelligence technologies. Tablets are available on tables to take payments and orders. They also recommend specials. Tablets are fitted with a pay-at-the-table touchscreen for secure payment and hassle-free digital ordering. The tablet has multiple functionalities such as an auto-cut receipt printer, chip and PIN keypad, mag stripe reader, mobile payment tap, and EMV enabled card reader. There are different types of payment methods to choose from, including mobile pay, chip card, and swipe card. Additional features include satisfaction reporting and surveys, wifi, and others. Due to its convenient features, the Ziosk tablet is growing in popularity and over 3,000 restaurants already introduced tablets. More than 50 million customers use Ziosk to order on a monthly basis. Robots can be used in the restaurant business to improve speed of preparation, effectiveness, and capacity. Miso Robotics, for example, introduced an artificial intelligence assistant called Flippy. Flippy offers help with plating, prepping, frying, and grilling. He is fitted with sensors, camera, and software that allow him to “see” the ingredients. The sensors help control temperature, and its hand is turned into a flipping spatula. Caliburger first deployed the robot in Pasadena and preordered more robots for different locations. Flippy now works in the Pasadena location. The AI cooking assistant is still a work in progress, and Miso keeps adding more features and functionalities, for example, a more advanced tracking software. He is advertised as the best burger flipping assistant to cook burger patties. 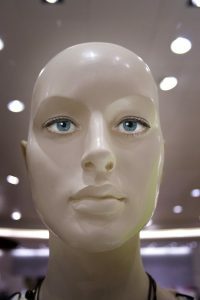 Another humanoid type of robot has been developed by MasterCard and SoftBank. Called Pepper, this robot is a waiter that accepts credit card payments, offers recommendations, and processes orders. Pepper interacts with customers by way of recognizing and interpreting basic human emotions. He is equipped with a tablet, software applications, and other capabilities to memorize preferences, personality traits, tastes, and more. Nestle announced plans to buy Pepper robots for its locations in Japan to help introduce and promote different products. In addition to robots in restaurants, there are different types of food service apps such as the app of TellSpeck, Halla, and others. TellSpeck, for example, introduced a food sensor scanner that is capable of identifying ingredients and food composition. The best part is that the scanner correctly identifies not only nutrients but also macronutrients, calories, allergens, and even harmful substances. Whether you are up for a quick brunch, business meeting, or family dinner, Toronto’s downtown restaurants offer plenty of options when it comes to seating, ambience, menu and ingredients, and more. Visitors can choose from a host of vegetarian-friendly and vegan restaurants, like for example, The Elm Tree Restaurant, GEORGE Restaurant, Carisma, and others. Carisma offers dinner, lunch, and wine menus and tasty meals such as wild mushrooms with goat cheese and mixed greens and mozzarella with basil seedlings, extra virgin olive oil, and vine-ripened tomato. GEORGE restaurant is a top-rated restaurant and a great choice for a lunch or dinner, private dining, and special events such as weddings. The menu features a selection of delicious meals such as pan roasted tofu, vegetable tempura with pickled fennel and heirloom beets, and rapini salad with quinoa and avocado. The menu also features wine pairings for a seven or five course menu. Gluten-free options are also available. Visitors coming from abroad may want to try poutine, butter tarts, Canadian bacon, or split pea soup. There are plenty of restaurants downtown to get a feel of Canadian cuisine, for instance, The Hot House, The Senator Restaurant, JOEY Eaton Centre, Cora’s Breakfast and Lunch, and others. It is best to make a reservation. 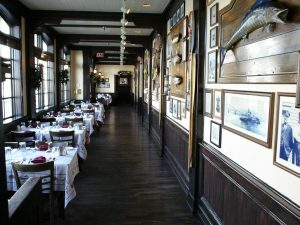 The Senator Restaurant offers take out and brunch, dinner, lunch, and breakfast options. Visitors can try mains such as Perth country pork chop, southern fried chicken thighs, or chicken pot pie with mixed green salad and puff pastry crust. Cora’s Breakfast and Lunch is also a great place to try International, Canadian, and American cuisine, with gluten-free and vegetarian-friendly options available as well. Visitors love the friendly service, tasty food, and large portions. Cora offers omelets, toasts, waffles, savory and fruits crepes, pancakes, and a lot more. This is a great breakfast spot in downtown Toronto to have a tasty omelet with bacon, tomatoes, and goat cheese, breakfast on a cheddar crepe, or an apple and cheddar crepe. There are plenty of restaurants that offer Mexican, Japanese, Sri Lankan, Middle Eastern, and Belgian cuisine. Como en Casa, for example, features quick, friendly service, generous portions, and ambient atmosphere. Visitors are offered a large selection of meals such as pulled pork with chipotle and tomato, tortillas with sour cream, cheese, and lettuce, and tacos with veg, pork, chicken, or beef. The Tinuno Restaurant is a great place to try Filipino cuisine and take advantage of their catering menu. You can have grilled okra, grilled tilapia, pork BBQ, or grilled squid. If you love Latin cuisine, VOS Restaurante Argentino is a great place to taste South American and Argentinian food. Try their ensalada walforf or calmares a la parrilla. There are other places featuring Mexican, Spanish, and South American food, for example, El Rinconcito Mexicano and Cafeteria Playa Cabana. You will find good Japanese restaurants in downtown Toronto as well, including the Nami Japanese Seafood Restaurant and Yutaka Japanese Restaurant. The Nami Japanese Seafood Restaurant offers a selection of tasty items such as spicy tuna sashimi with minced white onions, sesame oil, and scallions and tofu with scallions, grated ginger, and ground radish. Customers are free to choose from different types of fish such as mackerel, sardine, squid, salmon, black cod, and others. Bento box meals are also offered. There is a host of restaurants that feature Thai, Vietnamese, and Asian food as well, for example, Banh Mi Boys, Salad King Restaurant, Golden Thai Restaurant, and many others. Many of them offer vegie-friendly and vegan options.